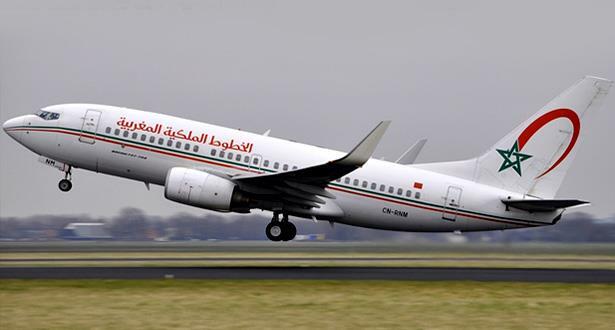 Next April Royal Air Maroc (RAM) will launch three new routes from Casablanca to three capitals - Amman (Jordan), Abuja (Nigeria) and Vienna (Austria), says CEO of the company, Abdelhamid Addou. "RAM is counting on the launch of these new links to target new Arab, European and African customers and thus strengthen the company's position as a key carrier particularly in Africa". The reopening of the Casablanca-Amman line in parallel with the launch of the Casablanca-Miami "will have to consolidate our goal of expanding our Arab clientele and thus contribute to strengthening the tourist appeal of Morocco," said the CEO of the RAM. Regarding Casablanca-Abuja, added Abdelhamid Addou, this connection aims to extend the African network of RAM and strengthen the positioning of the company on the continent. At the same time, the RAM will proceed, between December and February, to the acquisition of 9 Boeing aircraft (787 and 737) to reinforce its fleet and support the growing dynamics of the company's activities on all fronts, he said. According to the CEO of RAM, this operation is part of the strengthening of the place of RAM among the major aviation companies linking Africa to Europe, the Americas and Asia from the hub of Casablanca with no less than 85 destinations. In addition, the Spanish low-cost airline Volotea, which operates largely in France on small regional flights, wants to establish itself in Morocco. From April 2019, it will offer a direct link between the Nantes-Atlantique airport in northwestern France and Tangier. Tickets are already available from 9 euros. The company will operate two days a week: Tuesdays and Fridays. Ryanair is preparing to open 53 new lines from Italy, including four to Marrakesh and Fez in April 2019 and for the entire summer season. The city of Catania in Sicily and the city of Naples in southern Italy will be connected to Marrakech. Treviso Airport, near Venice, and Turin Airport will be connected to Fez. The details of the days and times of flights have not yet been communicated. Africa will soon have its first TGV line in service. Responding to the invitation of King Mohammed VI, Emmanuel Macron will travel to Morocco on November 15 to inaugurate the high-speed line between Casablanca and Tangiers. 200 km long, this high-speed line must connect Tangier to Rabat, the political capital of the country, in 1:20, instead of 3:40 now. The Moroccan LGV, the first high-speed segment of the African continent, will take only 2:10 instead of 4:45 hours. Officially launched in 2007 in the presence of Mohammed VI and Nicolas Sarkozy, the project saw its work begin in 2011. But they have fallen behind due to the expropriation procedures since the initial commissioning was scheduled for December 2015. Numerous French companies took part in the project: Alstom for the supply of the trains, the Ansaldo-Ineo consortium (signaling and telecoms), Cegelec (electrical substations) and the Colas Rail-Egis Rail consortium (tracks and catenaries). SNCF also provides project management assistance to the Moroccan National Railways Office (ONCF), the national operator of the country's rail network. The construction of the high-speed line will have cost a total of 2 billion euros. The French State has committed to 51% financing through various loans, including one granted by the French development agency of 220 million euros. This cost represents an envelope approximately 15% higher than the initial estimate of 1.8 billion euros, calculated in 2007 at the launch of the project. Six million passengers a year at cruising speed are expected after three years of commercial operation of the future LGV. This will be a doubling compared to the 3 million people currently transported on the traditional railway line. Court Case Against Morocco's Time Change Drinking Water in Morocco - Bottle or Tap?